The industry has also seen great leaps in technology over the years and Thome has always been at the forefront of these changes, recently opening an operations hub to enhance the quality of its ship management services and reaction times to emergency responses. 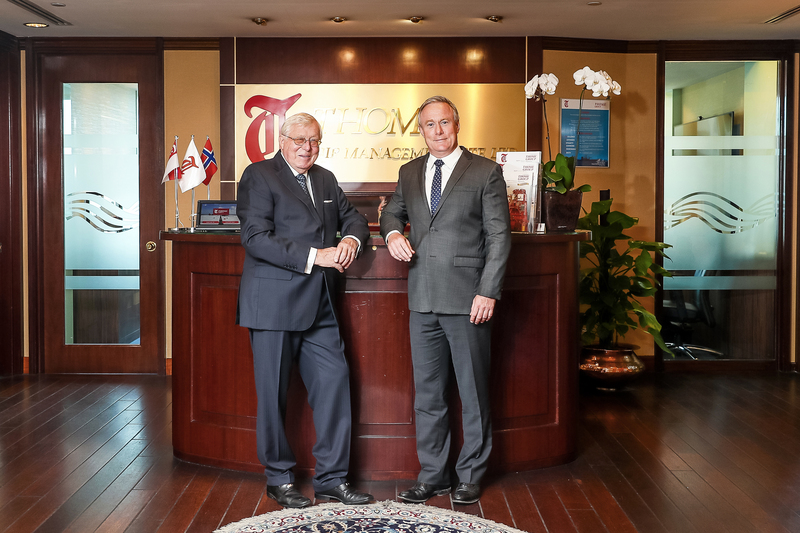 Keeping Thome focused as a family business offering hands-on ship management services has been its strength. The Group’s determination to provide quality services to meet owners’ requirements has been essential in forging and preserving the good reputation it enjoys. Higher educated professionals and additional staff are required to manage today’s vessels, meaning higher operating costs for ship managers so to survive in the future the Group needs to continue improving its IT systems and outsourcing support services to locations with lower cost levels. But ship management is constantly evolving and Thome, as a Group, must remain agile enough to adjust and adapt to compete at the highest level. “Some values will always remain at the core of the Group’s philosophy – such as safe and cost-effective operations and regulatory compliance but there are other factors that will demand continual focus such as the digital transformation, data analytics and staff training. Here’s to the next 55 years in business,” Mr. Claes Eek Thorstensen concluded.